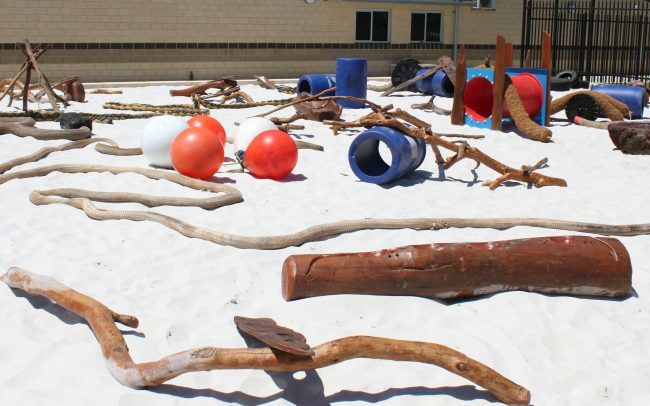 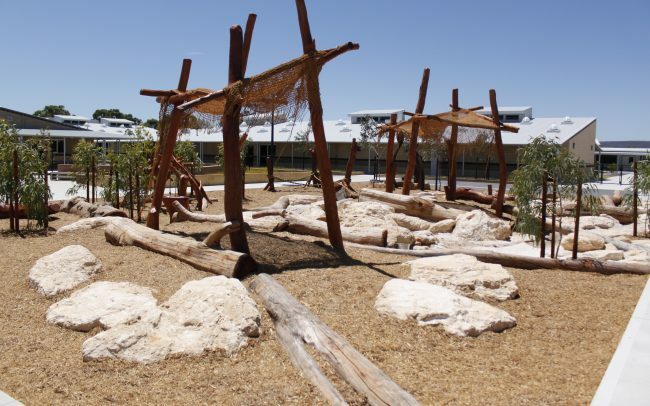 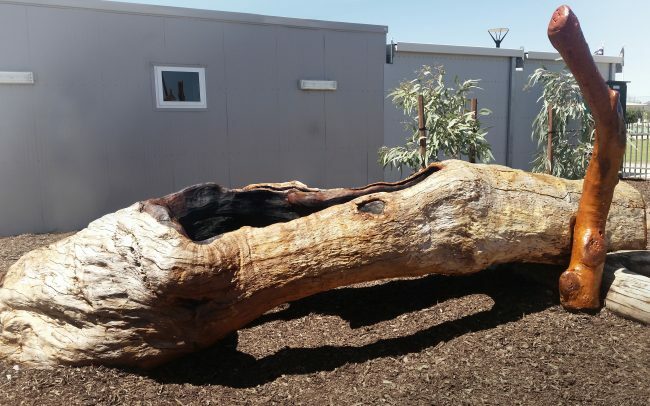 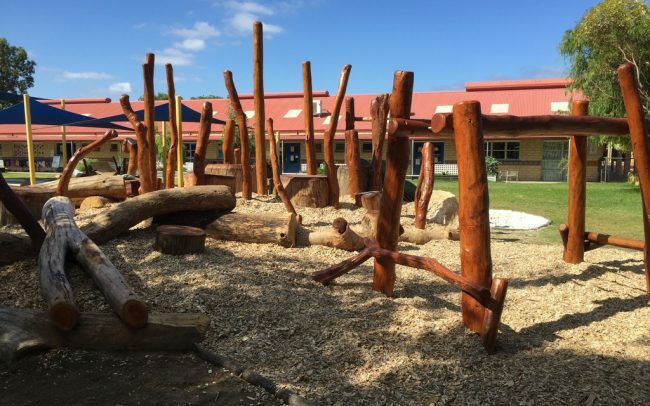 NBP was asked by the owner of Warooga Childcare Centre to Design and Install some Nature Play for the centres outdoor play areas. 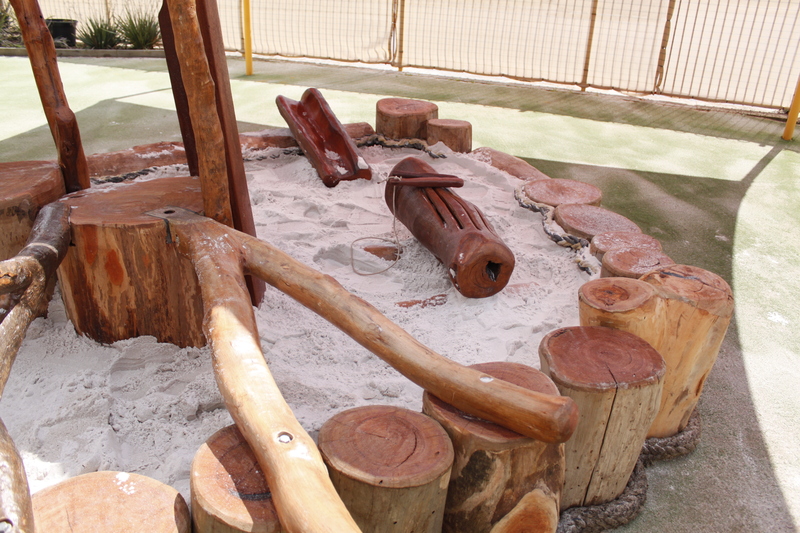 The challenge was to provide Nature Play to a budget, and installing directly onto the existing artificial turf. 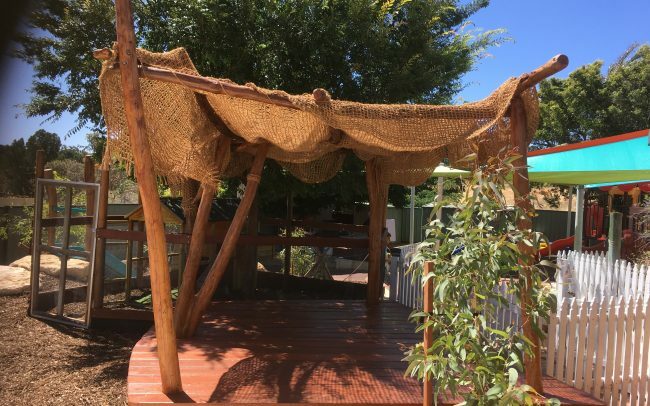 The resulting clever design, was a wonderful Bubble POD which brought the area to life by transforming it into a mini Nature play interactive area. 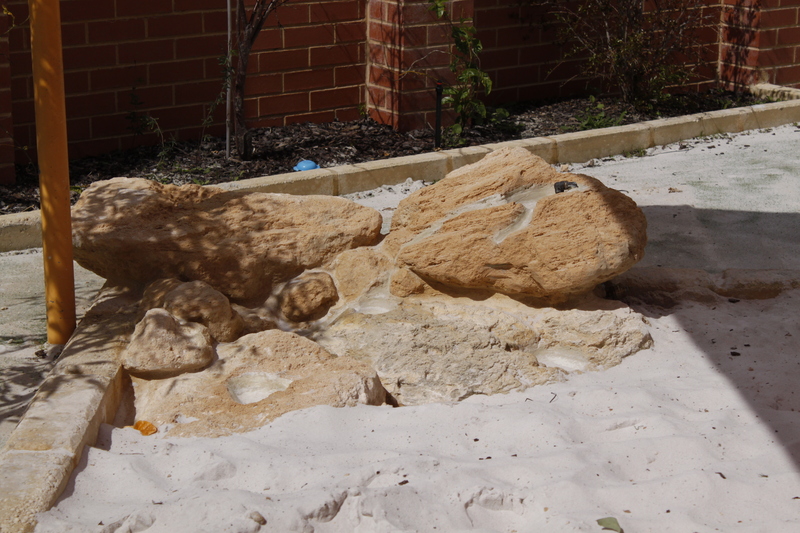 The climber cubby and balancing nest in the sand area provided physical and fun challenges for the kids. 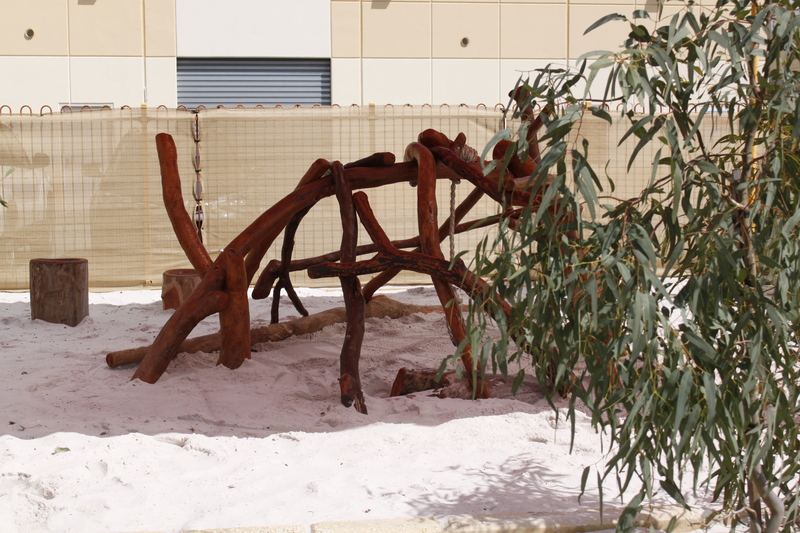 The final plantings of Eucalyptus trees added a natural feel and future shade areas. 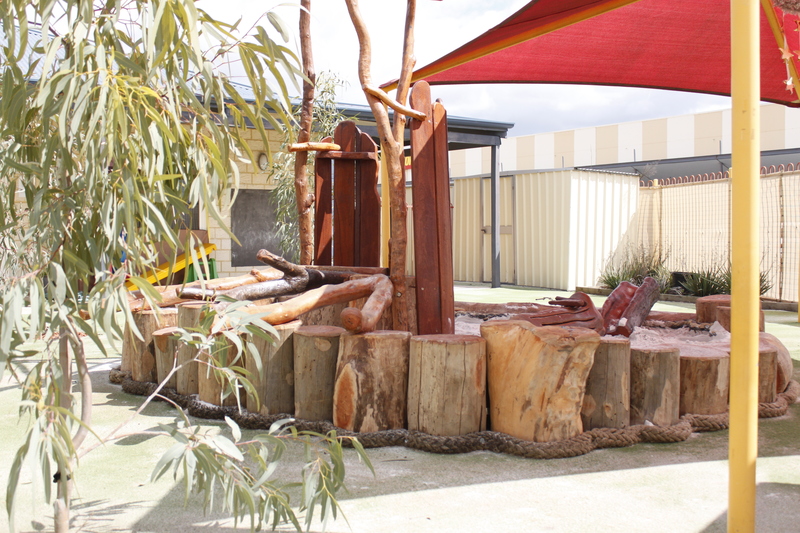 AREA 1: Bubble POD, steppers, balancing logs, musical log drum, central stump cubby, verticals, water trough, plantings, sand play.